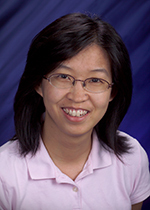 Yunhua Zhu came to the PNNL in 2005 after graduating from NCSU as Ph.D. in civil engineering. She joined Hydrocarbon Processing group in 2008 and is currently a senior research engineer. Dr. Zhu’s researches focus on process simulation and economic analysis for coal and biomass conversion systems. She has participated in multiple biofuel and bioenergy projects as a key contributor and task lead. Dr. Zhu has authored or co-authored journal articles, conference papers, book chapters and technical reports in clean and renewable energy area. She is also a peer reviewer for Applied Energy, Bioresource Technology, and Algal Research. Zhu Y., S.B. Jones, and D.B. Anderson. 2018. Algae Farm Cost Model: Considerations for Photobioreactors. PNNL-28201. Richland, WA: Pacific Northwest National Laboratory. Snowden-Swan L.J., Y. Zhu, M.D. Bearden, T.E. Seiple, S.B. Jones, A.J. Schmidt, and J.M. Billing, et al. 2017. Conceptual Biorefinery Design and Research Targeted for 2022: Hydrothermal Liquefacation Processing of Wet Waste to Fuels. PNNL-27186. Richland, WA: Pacific Northwest National Laboratory. Snowden-Swan L.J., Y. Zhu, S.B. Jones, D.C. Elliott, A.J. Schmidt, R.T. Hallen, and J.M. Billing, et al. 2016. Hydrothermal Liquefaction and Upgrading of Municipal Wastewater Treatment Plant Sludge: A Preliminary Techno-Economic Analysis. PNNL-25464. Richland, WA: Pacific Northwest National Laboratory. Snowden-Swan L.J., Y. Zhu, S.B. Jones, D.C. Elliott, A.J. Schmidt, R.T. Hallen, and J.M. Billing, et al. 2016. Hydrothermal Liquefaction and Upgrading of Municipal Wastewater Treatment Plant Sludge: A Preliminary Techno-Economic Analysis Rev.1. PNNL-25464 Rev. 1. Richland, WA: Pacific Northwest National Laboratory. Dagle R.A., D.L. King, X.S. Li, R. Xing, K.A. Spies, Y. Zhu, and J.E. Rainbolt, et al. 2014. Coal-Derived Warm Syngas Purification and CO2 Capture-Assisted Methane Production. PNNL-23777. Richland, WA: Pacific Northwest National Laboratory. Jones S.B., Y. Zhu, D.B. Anderson, R.T. Hallen, D.C. Elliott, A.J. Schmidt, and K.O. Albrecht, et al. 2014. Process Design and Economics for the Conversion of Algal Biomass to Hydrocarbons: Whole Algae Hydrothermal Liquefaction and Upgrading. PNNL-23227. Richland, WA: Pacific Northwest National Laboratory. Jones S.B., Y. Zhu, L.J. Snowden-Swan, D. Anderson, R.T. Hallen, A.J. Schmidt, and K.O. Albrecht, et al. 2014. Whole Algae Hydrothermal Liquefaction: 2014 State of Technology. PNNL-23867. Richland, WA: Pacific Northwest National Laboratory. Tews I.J., Y. Zhu, C. Drennan, D.C. Elliott, L.J. Snowden-Swan, K. Onarheim, and Y. Solantausta, et al. 2014. Biomass Direct Liquefaction Options: TechnoEconomic and Life Cycle Assessment. PNNL-23579. Richland, WA: Pacific Northwest National Laboratory. Biddy M.J., R. Davis, S.B. Jones, and Y. Zhu. 2013. Whole Algae Hydrothermal Liquefaction Technology Pathway. PNNL-22314. Richland, WA: Pacific Northwest National Laboratory. Dagle R.A., V.M. Lebarbier, J.A. Lizarazo Adarme, D.L. King, Y. Zhu, M.J. Gray, and S.B. Jones, et al. 2013. Single-Step Syngas-to-Distillates (S2D) Synthesis via Methanol and Dimethyl Ether Intermediates: Final Report. PNNL-22984. Richland, WA: Pacific Northwest National Laboratory. Zhu Y., S.A. Tjokro Rahardjo, C. Valkenburt, L.J. Snowden-Swan, S.B. Jones, and M.A. Machinal. 2011. Techno-economic Analysis for the Thermochemical Conversion of Biomass to Liquid Fuels. PNNL-19009. Richland, WA: Pacific Northwest National Laboratory. Jovanovic I., S.B. Jones, D.M. Santosa, Z. Dai, K.K. Ramasamy, and Y. Zhu. 2010. A survey of Opportunities for Microbial Conversion of Biomass to Hydrocarbon Compatible Fuels. PNNL-19704. Richland, WA: Pacific Northwest National Laboratory. Lu S., Y.V. Makarov, Y. Zhu, N. Lu, N. Prakash Kumar, and B.B. Chakrabarti. 2010. "Unit Commitment Considering Generation Flexibility and Environmental Constraints." In 2010 IEEE Power and Energy Society General Meeting. Piscataway, New Jersey:IEEE. PNNL-SA-69872. Roesijadi G., S.B. Jones, L.J. Snowden-Swan, and Y. Zhu. 2010. Macroalgae as a Biomass Feedstock: A Preliminary Analysis. PNNL-19944. Richland, WA: Pacific Northwest National Laboratory. Zhu Y., S. Somasundaram, and J.W. Kemp. 2010. "Energy and Exergy Analysis of Gasifier-Based Coal-to-Fuel Systems." Journal of Energy Resources Technology 132, no. 2:Art. No. 021008. PNWD-SA-8530. Jones S.B., and Y. Zhu. 2009. Preliminary Economics for the Production of Pyrolysis Oil from Lignin in a Cellulosic Ethanol Biorefinery. PNNL-18401. Richland, WA: Pacific Northwest National Laboratory. Jones S.B., and Y. Zhu. 2009. Techno-economic Analysis for the Conversion of Lignocellulosic Biomass to Gasoline via the Methanol-to-Gasoline (MTG) Process. PNNL-18481. Richland, WA: Pacific Northwest National Laboratory. Jones S.B., Y. Zhu, and C. Valkenburt. 2009. Municipal Solid Waste (MSW) to Liquid Fuels Synthesis, Volume 2: A Techno-economic Evaluation of the Production of Mixed Alcohols. PNNL-18482. Richland, WA: Pacific Northwest National Laboratory. Zhu Y., and S.B. Jones. 2009. Techno-economic Analysis for the Thermochemical Conversion of Lignocellulosic Biomass to Ethanol via Acetic Acid Synthesis. PNNL-18483. Richland, WA: Pacific Northwest National Laboratory. Zhu Y., M.A. Gerber, S.B. Jones, and D.J. Stevens. 2009. Analysis of the Effects of Compositional and Configurational Assumptions on Product Costs for the Thermochemical Conversion of Lignocellulosic Biomass to Mixed Alcohols - FY 2007 Progress Report. PNNL-17949 Revision 1. Richland, WA: Pacific Northwest National Laboratory. Zhu Y., M.A. Gerber, S.B. Jones, and D.J. Stevens. 2008. Analysis of the Effects of Compositional and Configurational Assumptions on Product Costs for the Thermochemical Conversion of Lignocellulosic Biomass to Mixed Alcohols -- FY 2007 Progress Report. PNNL-17949. Richland, WA: Pacific Northwest National Laboratory. Zhu Y., S. Somasundaram, and J.W. Kemp. 2008. "Energy and Exergy Analysis of Gasifier-Based Coal-to-Fuel Systems." In Proceedings of the 2008 ASME Energy Sustainability Conference, 321-330. New York, New York:ASME. PNWD-SA-8124.